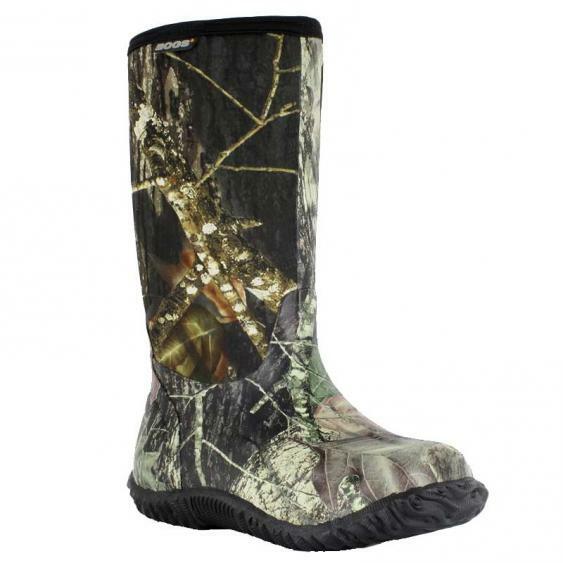 You’ll do anything but blend in with the Bogs Classic Camo Mossy Oak boots. This 14'' boot features a 7mm SBR/CR rubber foam insulation, four-way stretch upper over an EVA contoured sockliner with Aegis anti-microbial technology that provides 100% waterproofing and warmth, even in sub-zero temperatures. You’ll stay warm and comfortable to approximately -40⁰F. Patterned rubber overlays protect your feet from scrapes and the elements. Non-marking, non-slip outsole delivers traction, even on slippery surfaces. I bought two pair, one for myself and the second for my grandson. This is our second pair each. As we spend a lot of time in the outdoors during the winter I would highly recommend these bogs. An excellent buy.